The primary purpose of the Connaught International Scholarships for Doctoral Students is to assist graduate units in recruiting and supporting outstanding international scholars to the University of Toronto’s graduate programs. The effective value to each student in 2011-2012 will be $35,000.00 total (including tuition). The department will cover the cost of tuition at the domestic student rate plus the normal minimum funding in the graduate unit of $15,000 or higher (using the normal combination of Research and Teaching Assistantships, UofT Fellowships, etc.). The Connaught Program will cover “top-up” funding to bring the total funding to $35,000 from the normal minimum in the graduate unit ($15,000 or higher). Nominees must be new international applicants applying to full-time doctoral or doctoral-stream programs within the funded-cohort (M.A., M.Sc., MASc, PhD). Nominees must begin their program in the 2011-2012 academic year (no later than fall 2011) and cannot have been previously registered within UofT. Nominees will be ranked by the SGS awards committee. Recognizing the importance of timeliness in the recruitment process, graduate units will be informed which of their students can be offered the scholarship on Wednesday March 9, 2011. For successful nominees, SGS will send an electronic-copy of a letter addressed to the student from the Dean of Graduate Studies, Vice-Provost, Graduate Education, with a notice of the terms and conditions of the scholarship. Successful nominees must provide written acceptance of the offer of admission to the graduate unit by Friday March 25, 2011 in order to retain this scholarship. The graduate unit must forward acceptances of the scholarship to Tara Lock. Deferral of admission will result in loss of the offer of the Connaught International Scholarship. If a successful nominee does not accept the scholarship, SGS will offer a Connaught to the next individual on the SGS reversion list. These scholarships are awarded to the students and graduate units may not automatically reallocate the scholarship. 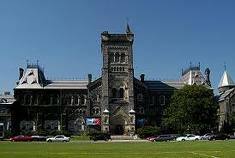 To maintain the award, students are required to be in full-time attendance at the University of Toronto, maintain an A- average, and be making satisfactory progress toward the completion of their degree as determined by their department. Repayment of the award is required if a student is in full-time attendance fewer than 14 weeks in any session. Demikian kami sampaikan tentang Connaught International Scholarship for Doctoral Students at University of Toronto, Canada semoga informasi tentang Connaught International Scholarship for Doctoral Students at University of Toronto, Canada ini bermanfaat.